My trip last week was filled with nice encounters and experiences. On my previous trip to Dallas I met for the the first time a wonderful retired physician that had been introduced through a mutual Florida friend. He had visited Florida last winter and my friend had met him and somehow we never connected, although at the same event. On my last visit to Dallas we had a wonderful lunch and visited the Dallas Museum of Art together. Photos from that day are here. This trip we had a quick lunch the day I came in and made plans for an evening out later in the week. The evening started with cocktails with Robert and his friend at Robert's home. What a beautiful place and great location. We did a few photos before heading out and the above photos, right and left are at his home - Beautiful art. What an elegant way to start an evening. 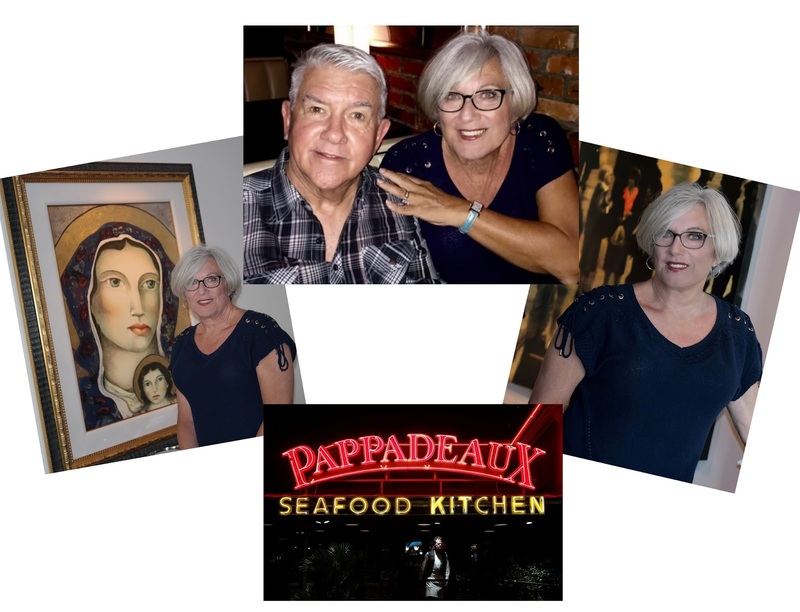 Robert suggested Pappadeaux Restaurant, close by his home and the three of us drove over. I was so happy with his choice. Wow what a good meal. I had been encouraged to find Pappadeaux by several work mates, so I am happy to finally enjoy the atmosphere and food. What a fun and beautiful evening. Thank you Robert! If ever in San Jose I will keep you in mind. I never know where the next install will be so will keep you posted. If I have a trip coming up I will typically post it in my "Sunday Comics" blog. I enjoy meeting new friends.